One of the most exciting and popular hackathons, Random Hacks of Kindness (RHOK) Pretoria took place on the 9th until the 10th of July at the UNISA Muckleneuk campus. The hackaton attracted over 70 students and industry developers to address and build socially-relevant solutions using Technology. RHoK Pretoria is annually hosted by the UNISA's College of Science, Engineering and Technology (CSET) in collaboration with hackathon evangelists, Geekulcha. There is always something new to learn at a hackathon, it was exciting to see new talent at the hackathon. A young techy from North West came all the way to take part at RHOK Pretoria, the spirit is truly alive. Geekulcha Maker Library Network was set up at the hackathon to enable creativity and build the maker culture. Nine solutions were developed from the hackathon. These are solutions aimed at helping the community accelerate in Digital Migration and Transformation. Congratulations to team Vimba for wining the hackathon with their real-time crime-monitoring solution. Here are the winning solutions as Dr Jabu Mtsweni deliberate, he is the father of RHoK Pretoria. UNISA and Geekulcha extends a thank you to all the coordinators, judges, mentors and all the participants who sacrificed their weekend to hack for humanity. 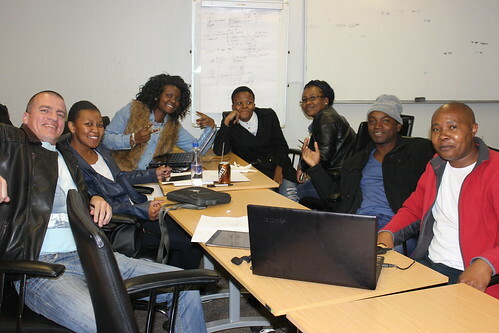 See you all at RHoK Johannesburg #RHoKJozi, first weekend of December.